Happy New Year. I hope there aren't too many hangovers out there and the year brings you happy times, good health and good fortune. 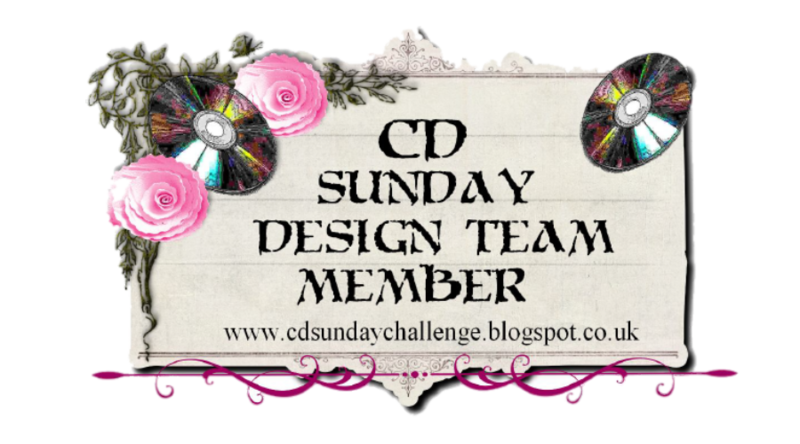 Over at CD Sunday it's time for the monthly sponsor challenge, this month we are lucky to be sponsored by Bearly Mine Designs who have been very generous in offering a £10 voucher towards a Bearly Mine Designs CD to the lucky winner this week, there are some beautiful papers available over there, I have only just discovered BMD, wish I had found them sooner, why not pop on over and take a look. The DT had a selection of papers to play with, after much playing around with it all, I used one of the Just Plaid paper on my card, as well as Popcorn images and Centura Pearl card from Crafters Companion, I also used some mirri card from my stash, glitter on the roses and one of my fav techniques using MS punch around the page sets. I love your card with all the punching! So very pretty! 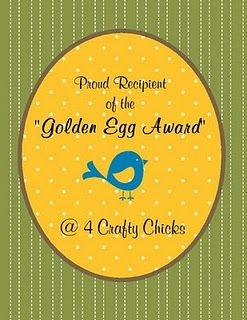 Thanks for playing at I Did It Creations this week! Adorable card, love the color and design. Thanks so much for sharing with us at OSAAT. So cute, thanks for playing along with DDSB! Such a super card and the purples are great! I love the punched edges too! 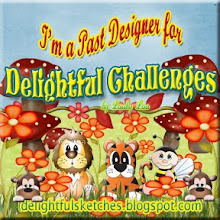 Thanks for joining in with us on our purple challenge at Delicious Doodles. Well done for making top 3 last time.. 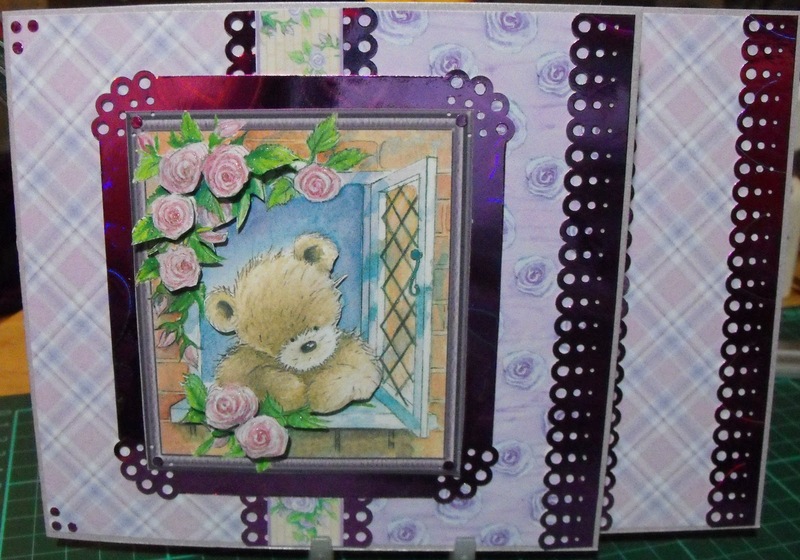 Thanks for joining us at SFC, good luck..
Gosh this is one beautiful card the design is awesome and that little bear is so cute thank you so much for sharing this with us at Aud Sentiments. Awww such an adorable teddy bear. Love him! 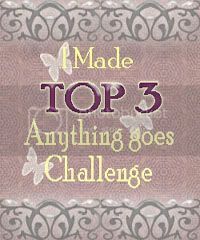 Thanks for playing in the WoodwareUSA challenge this week. Good Luck! A cute card , reminds me of spring , just what we need with all the gloomyw weather of late. 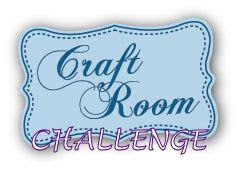 Thanks for joining us at creative craft challenges and good luck. O Romeo, Romeo, wherefore art thou Romeo? Great Popcorn image Wendy, I love how the mirri card stands out against the papers you have chosen. Gorgeous hun, love the mirri. Thank you for playing the Delicious Doodles Challenge, good luck and have a Happy New Year! Ahhh, this is so sweet. Love the borders. Thanks for joining us at I did It Creations. This is so cute - love it! Fab card hun, he is so sweet! Thank you for sharing with us at CES Challenge, OSAAT & SFC this week, good luck! Karen this is another lovely card, this image is so cute. Hope you are well and wanted to wish you a Happy New Year. Pretty bear image! 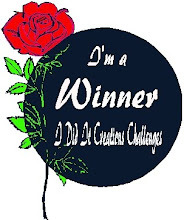 Thanks for joining us at the Stamping Vacation Challenge blog. 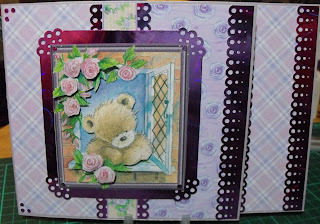 A beautiful card Wendy, gorgeous image and colours.